A recent law allows one-size-fits-most-allies contracts, the U.S. military’s head weapons buyer explains. 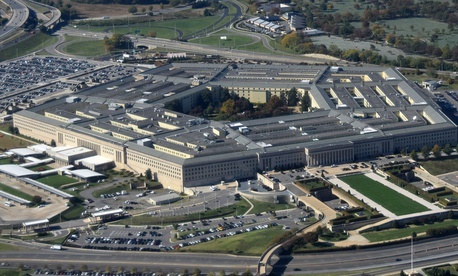 TAMPA, Florida — The Pentagon is speeding up U.S. weapons deliveries to allied militaries such as Saudi Arabia, Romania, Japan, and South Korea through new “pilot authorities” that change how it can design and execute contracts. “We have a whole variety of specific programs where we are focused on applying these authorities: Patriot Missiles for Romania; Global Hawk for Japan, THAAD [high-altitude air defense missiles] for Saudi Arabia, and TOW [vehicle-launched missiles] for multiple foreign military sales partners,” Ellen Lord, defense undersecretary for acquisition and sustainment, said Wednesday. These new authorities will allow the Pentagon to shave “years” off the time it takes to deliver weapons to friendly militaries, Lord said at the annual SOFIC event here. Saudi Arabia is a frequent target of missile strikes by Houthi rebels. Regional authorities routinely fret about Iran’s growing missile capabilities. Lord said there was no shortage of countries looking to do business with U.S. arms dealers so long as the government can move faster to approve the deals. Asked about Ukraine, which recently received U.S. anti-tank weapons it had been seeking since 2015, she forecast faster sales. “We have quite a focus on Ukraine. I’ve been talking with policy [officials] just over the last week about trying to find an individual who can work directly with Ukraine to help them with their acquisition process on an intermittent basis,” she said. The pilot authorities were created by the 2017 National Defense Authorization Act. Among other things, they allow the Pentagon to write domestic arms contracts that make provisions for export sales, Lord said. 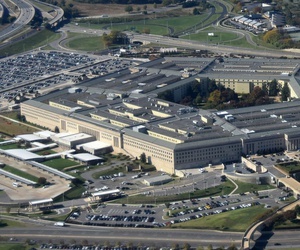 Lord also said the Pentagon would work with “the engineering community” to make sure that future weapons are designed with an eye toward exportability — reducing, for example, the number of parts whose sensitivity might hinder their sales abroad. Lord formerly worked for Textron, whose executives often complain that their Shadow UAV is forbidden to compete on the international market with a similar Chinese drone that has found clients in the Middle East. She struck a similar note today, recounting conversations with “partners and allies who wanted U.S. technology, but eventually bought elsewhere. “I would hear stories: ‘We’re going to go with the Russian alternative. We’re going to go with the Chinese alternative because we know we can get it quickly. We know it might fail 80 or 90 percent of the time, but we will have something to work with.’ That’s a missed opportunity for the U.S. We’re going to make sure we do everything possible to improve on that,” she said.